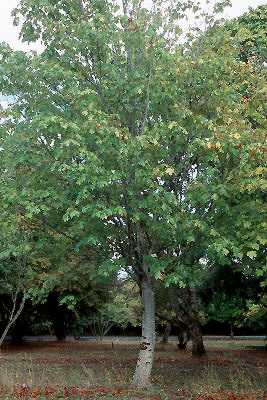 Broadleaf deciduous tree, to 40-50(80) ft [12-15(24) m] high. Leaves opposite, simple, 5 lobed, 15-20(25) cm across, subcordate shaped, margin coarsely crenate-serrate, bright green above, pubescent below; long petiole. 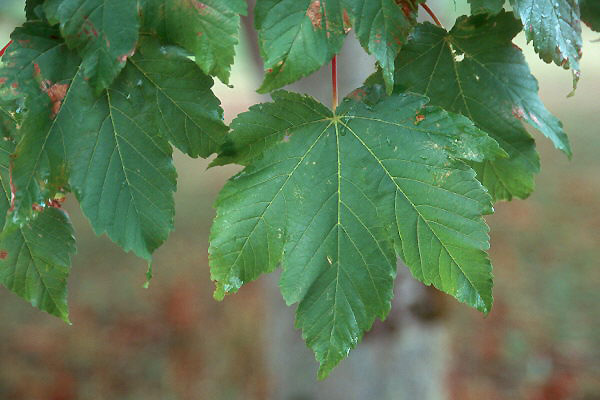 (Appear similar to leaves of Acer pseudoplantanus.) Flowers yellowish green, in terminal, erect ovoid clusters, 8-10 cm wide; appear after leaves. Fruit (samara) 3-4.5 cm long, wings spreading at right or obtuse angle, in pendulous clusters at maturity. Sun or light shade, best in moist soil. "Despite the wretched autumnal condition [horrible brown, burnt orange at best], the tree has a clean vigorours form and handsome summer foliage" (Jacobson, 1986, p. 64). Common roadside and street tree in Russia. Hardy to USDA Zone 5 Native to the Caucasus and northern Iran. Tentatively three botanical varieties are recognized: var. velutinum (underside of leaves pubescent and with a bloom [glaucous]), var. 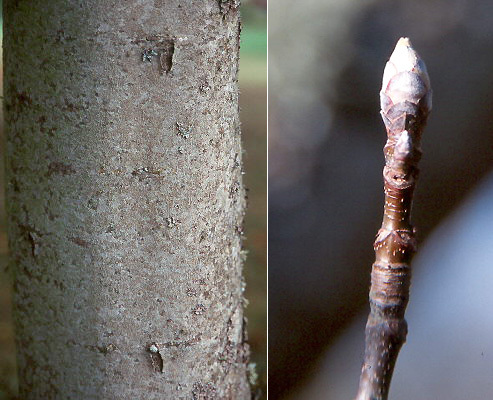 glabrescens (leaves hairless [glabrous], and var. 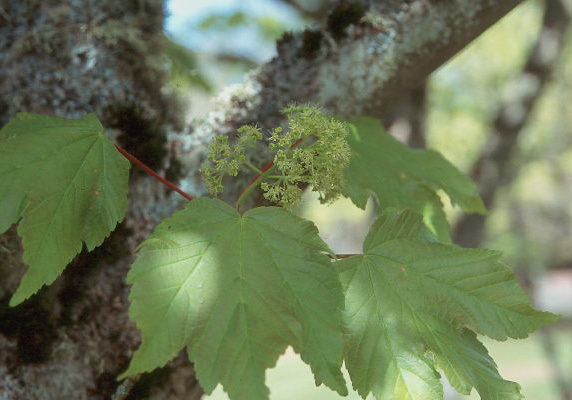 vanvolxemii (large leaves).